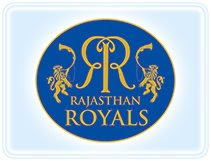 This time no Rajasthani player is there in the final team of Rajasthan Royals team which will play in IPL second session. Although in previous year there was some local players in team like Pankaj Singh, Gajendra Singh and Mohd Arif. But except Pankaj Singh the remaining two will have to stay back in India and watch matches on televisions only whereas Pankaj Singh may get chance to play this time from Royal challengers.